The first thing you notice about Watermelon Road is that it’s a beautiful product. From the pastel packaging to the vibrant strips of fruit jerky itself, Watermelon Road almost looks tailor-made for Instagram. Turns out it’s no accident – and a big reason why the product has resonated with consumers. 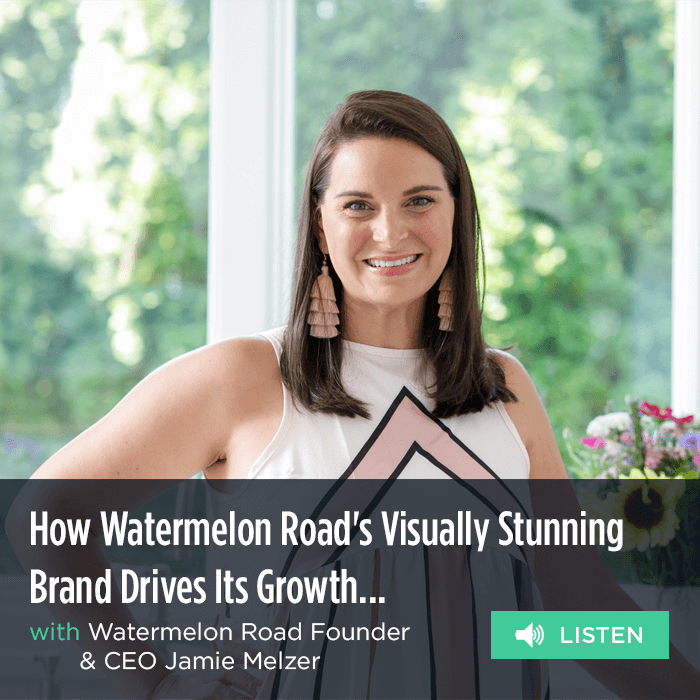 This week on Brand Builder we have Jamie Melzer, the brand’s founder and CEO. Watermelon Road make clean and delicious dried fruit jerky, with mouth-watering flavors like Watermelon Lemonade, Mango Margarita, and Pineapple Mojito. Jamie is a big believer in “food as medicine” – the idea that changing what we eat and how we think about food can lead to healthier lives. She put this to the test when her husband was diagnosed with an autoimmune disease, and it was this experience that inspired her to launch Watermelon Road. A little over a year in, Watermelon Road are accelerating into their next big growth stage. To date, the brand has grown almost entirely organically, largely by word of mouth and press. Jamie talks about how her early investment in a strong visual and brand identity from the get go has been the key to garnering this buzz.